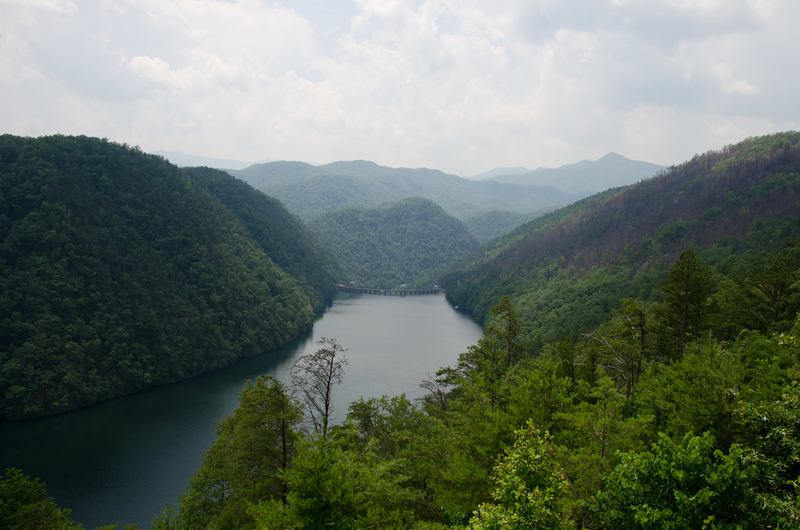 Fontana Lake is more than 10,000 acres of brilliant emerald-green water set between the grandeur of the Great Smoky Mountains and the Blue Ridge Mountains—it’s a breathtaking scene! It is also the fourth deepest man-made lake in the U.S., and because it’s deep, it’s cold and is home to fish usually found up north: Walleye, white bass and steelhead give anglers a great time from March through May. Catfish, some weighing more than 50 pounds, are the favorite catch through the summer and into the fall. You’ll have a selection of guided pontoon tours, such as trips to see mighty waterfalls, kaleidoscopic leaves in the fall and the wildlife that roams, including black bear, fox, bobcat, wild boar and turkey. There are also pontoon shuttles for the hardy wilderness hikers on their way to the southern rim of the Great Smokies.